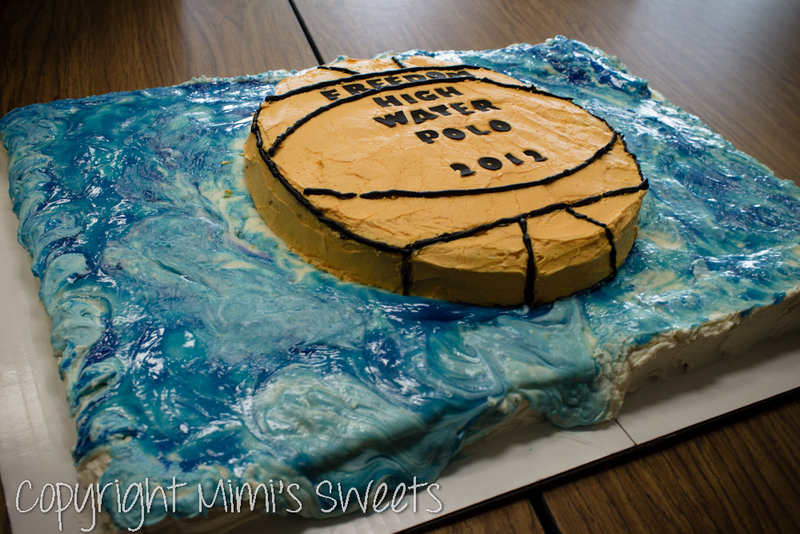 So, the water polo team from Freedom High School in Orlando asked me to make the cake for their awards ceremony that was held this evening. I decided that I wanted to make the sheet cake look like it was water, and it was overflowing out of a pool or splashing around when a polo ball landed. Using regular blue icing wasn't going to cut it, so I went out of my way to get piping gel and mixed blue glitter gel with it to give it the color that it has. For the bottom layer, I made a vanilla cream cheese cake. And for the top layer (the water polo ball), I made a red velvet marble cake. 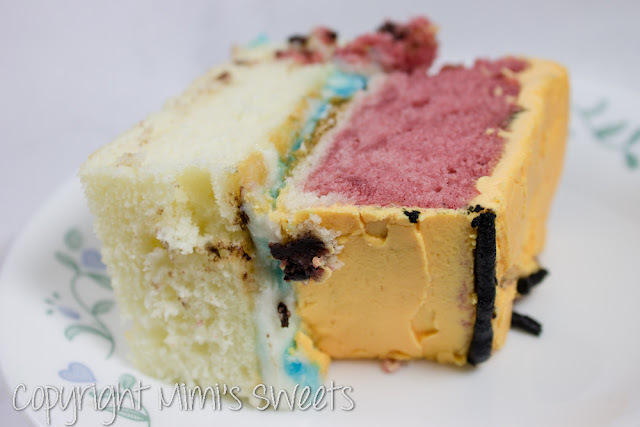 I iced all of it with a meringue cream cheese frosting... in different colors, of course!